When stocks sink, its time to review both terminology and history, Ron DeLegge writes. Times are tough for investors in mid-'15. Is the sell-off in U.S. stocks that began at the end of July a new bear market or simply a correction? It’s a question financial advisors, market analysts and retail investors are wondering. The classic definition of a bear market is a drop that is 20% from its peak or greater. 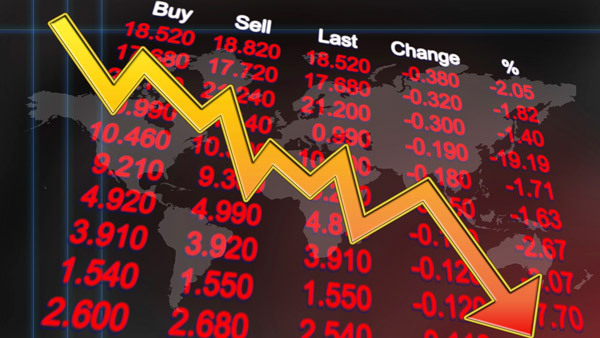 On the other hand, a stock market correction is a drop of at least 10% but less than 20%. Although the Dow Jones industrial average, Nasdaq 100 and S&P 500 did fall more than 10% from their yearly highs at end of July through the Aug. 24 market close, all three indexes were in correction mode as opposed to bear market territory. Historically, most stock market corrections have averaged a decline of 15% and are much shorter in duration compared with full-blown bear markets. During the last two bear markets from 2000-’02 and 2007-’09, U.S. stocks lost more than 50% in value. While those market losses were dramatic compared to other historical bear markets, both bear markets were relatively short-lived declines. In some cases, bear markets can have extremely short life spans. For example, the bear markets in 1987, 1990, and 1998 lasted only three months. A secular market trend generally lasts 5 to 25 years and is made up of multiple primary trends. For example, a secular bear market consists of smaller bull markets accompanied with larger bear markets. The stock market rally from 1932 to 1937 qualifies as a bull market rally within a secular bear market because at its top in 1937, stocks were still almost 30% below their all-time highs in 1929. In contrast, a secular bull market will have much larger bull markets surrounded by smaller bear markets. A recent example of this is the 19% decline experienced by the S&P 500 from May to October 2011. Not only did this particular decline occur during a bull uptrend, but it turned out to be a much smaller in scale compared to gains in stocks. In evaluating bear market performance, it’s common for investors to exclude the significance of dividends by focusing on price alone. During the Great Depression of the 1930s, stock prices had been pushed down so far, the dividend yield for the Dow industrials was in the double digits. It was a great time to be a yield investor with new money to invest! Unfortunately, most people weren’t in a position to invest money because they were scavenging just to get by. But patient investors that sat and held were eventually rewarded. In retrospect, the pain of deep market losses during the Great Depression was partially offset by dividends. The same holds true for all bear markets that have followed. Not only do dividends matter, but they help to ease the pain of unrealized paper losses. When will the next bear market strike? Nobody knows the exact answer. But we do know that all bear markets first begin with a correction. And that’s why the stock market’s latest correction warrants attention. “The last thing to collapse is the surface,” Albert Einstein once quipped. For advisors, that means staying vigilant by paying attention to stock market history. It also means observing what’s below the stock market’s surface. Ron DeLegge’s is founder and chief portfolio strategist at ETFguide. — Check out Are Nontransparent ETFs Good or Bad? by Ron DeLegge on ThinkAdvisor.